Didn’t want to bore you all to tears with a whole year of my favourite cards yesterday, so here’s the other half. 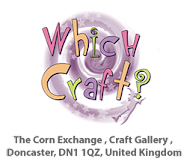 We have a winner for the £15 voucher kindly sponsored by Crafts U Print! I thought I would join in with the favourites of 2011 that some of my blogging buddies are doing. This is proving to be so hard chosing which ones not to pick lol. It’s taking so long I am going to do the first half of the year today and the second half tomorrow else I will never get to work! And you will soon suss out there’s a pink thing going on here lol. Rob at Crafts U Print emailed me a couple of weeks ago offering a fab prize of £15 worth of downloads from their website to one of my followers. Not only is there loads of craft downloads, but cutting files, scrapbooking, and even knitting downloads! So do pop across and take a peek at their vast range. And by now you all know the drill lol, just pop your name in the linky below and I will draw a winner on Friday evening. The sentiment stamp is Lili of the Valley Grunge Christmas Postmarks. Whenever my mojo goes walkabout a Sarah Kay stamp always helps me find it and this past few days the old mojo didn’t only go walkabout, it got totally lost! I had to force myself to sit down yesterday to get some DT work done but just could not find it in me so I decided to dig out my Sarah Kays and have a little play. I set out to colour the image with only Prismacolor pencils but reached for the Copics as well, I must be pre-programmed to reach for them lol. I sure hope I can get some motivation to do some work today … doubt it though lol. Did you all have a good Christmas? Ours was fab – time spent with wonderful friends and family, lots of laughs and fun. It is amazing to see the day through the eyes of a child. My granddaughter Amy is Lady Gaga crazy and even calls herself of Amy Gaga. Well she wanted blue hair and a big pink bow like Lady Gaga and that’s what Santa brought her lol. Congratulations Maryann, please email me your address, and please put Vintage Tilda in the subject line. I am heading off out now to meet up with friends, so thought I would quickly draw the winner of the Gift of Giving Penny Black stamp. As always please leave your name in the linky below and I will draw a winner probably Monday. You need your shades for today’s card, it was made on behalf of Lili of the Valley for the latest Cardmaking and Papercraft magazine that went on sale this week. I love these little mice, so cute and a doddle to colour too. The stamp is The Potting Shed, and the sentiment is from their Circular Sentiments sets. The delish paper is K & Co Sweet Nectar from Dies to Die for as is the gorgeous Memory Box Pearl Lace border die. And talking of Memory Box dies, Tracy has all their news dies up for pre-order and we all know how fast they fly! Must dash, else I will be late for work again. I have some candy to give away today, and I thought the name of the stamp was just perfect for this time of year! It’s Penny Black’s Gift of Giving wood mounted stamp that is just one of many duplicates in my craft cupboards! It’s the usual drill, if you would like to enter the draw just pop your name in the linky below and I will draw a winner on Christmas Eve. And on that note I am heading off out early to finish off the shopping that I couldn’t get at Asda last night – deep breaths Bev, Tesco here I come!! Okay, so I got my bit of bah humbug off my chest lol, so on to today’s card which is another of those patchwork/paper piecing cards I did for SCPC magazine a while back. The paper I used is from Nitwit Collections Oh the possibilities kit. This was super easy to do, I just cut 5 equal sized pieces and stitched them on to pink backing card. Then coloured Summer Icy Angel from Lili of the Valley and paper pieced her dress. Job done The flowers are from Wild Orchid Drafts as is that gorgeous pink satin ribbon. The sentiment comes with the stamp (love 2 for 1’s lol) and those sweet little ivy leaves are by Marianne Design, they are the new dies that are part of the January release. Tonight I am hitting Asda for food shopping, I want to cry at the thought – wish I had been more organised and ordered it all on line. 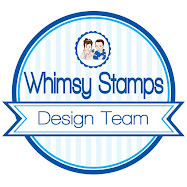 Here’s another sneak peek from the amazing Whimsy Stamps December release. I’ve used Wee Stamps Spring Bringer on my card today, loving those little bells on her crops lol. She is available from Whimsy Stamps in the USA and from Dies to Die For in the UK. I have used the stunning Eline’s Winter Huis papers, the colours are so so pretty in this pack. I have used one of the Postage Stamps Sentiments. She has been coloured with Copics and Prismacolor pencils. I had a bit of a play and tried a new hair colour combo (new for me that is). It’s not quite red, more of a strawberry blonde. The lace, 25mm hybrid tea rose, 20mm roses, sweetheart blossoms, 4mm rose buds and baby’s breath flowers are all from Wild Orchid Crafts. The pearl swirl is from Dies to Die For. Each mini blog hop has a new release prize hidden somewhere along the way and you will have 24hrs to enter each prize draw by leaving a comment on every blog listed for that day. To be entered into today's mini blog hop prize draw, be sure to leave a comment on ALL of the DT's posts listed below by 12:00PM EST tomorrow. Please visit the Whimsy Inspirations blog view all the amazing new goodies that make up Decembers release. I don’t have a card to post until later today for the Whimsy Wee Stamps sneak peek so I thought I would post another Christmas ornament I made. This ornament was made from a goose and a duck egg with a lot of cutting with an air drill (similar to a dentists drill driven by a compressor). This ornament takes pride of place right in the front of the tree. My bezzie mate Karen has it’s twin on her tree. Once it was finished I decided I loved it so much I wanted to try it on something bigger, so made one from a Rhea and Goose egg. You can see the difference in the sizes in the picture below. A Rhea shell is a lot thicker than a goose egg but not quite as bad as an ostrich shell which is horrendous to cut, but this still took hours and hours to cut then decorate with ultra fine braid, glitter and rhinestones. All the flowers are paper tole hardened off with a resin type liquid which makes them as tough as porcelain. A close up of the larger egg, which I (not so cleverly) taught at a convention – I pre-cut all the shells for the students. Never ever again lol. It wasn’t long after finishing these two I stopped decorating eggs …. I wonder why lol. It’s our last challenge for 2011 at Wild Orchid Challenge and we’re closing off the year with a theme - Christmas Friendship. I just think this Nellie Snellen stamp – Sharing a Biscuit fits the theme to perfection. And I couldn’t have found a better sentiment if I tried – this is from the Peace on Earth sentiment set by Tina Wenke for Stampavie. When I was putting my Christmas trees up a few weeks ago I rediscovered some of the ornaments I had made years and years ago, the flowers were looking a bit worse for wear so I pulled them off and replaced them with new Wild Orchid Crafts roses. It became a bit of a tradition with my bezzie mate Karen who got one from me every year. Since discovering rubber stamping I’m afriad she has not gotten one from me Best remedy that next year! The ornaments are made from blown goose eggs. The first onejust simple marking, painting and glittering with a waterslide transfer and some topaz rhinestone chain. OMW I don’t believe it!